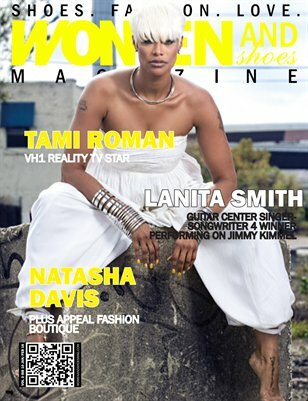 For our 10th issue, we are bringing to you the talented, successful and wildly popular Tami Roman! That’s right, the break-out star of the VH1 reality show ‘Basketball Wives’ talks with us about life and her journey to building an empire! Adding to the mix, we have ‘Guitar Center Singer/Songwriter 4 competition winner Lanita Smith, Natasha Davis ‘Plus Appeal’ Boutique owner and our featured model is ‘Modeling with a Message’ modeling agency creator and motorcycle enthusiast Kelli Williams.